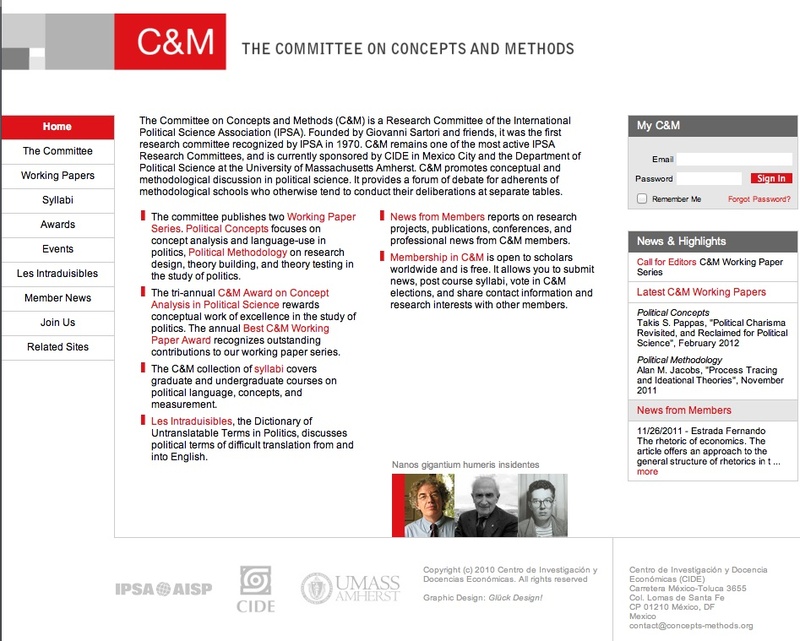 The Committee on Concepts and Methods promotes conceptual and methodological discussion in political science and provides a forum of debate amongst methodological schools. It understands itself as an open and plural platform of discussion and is currently hosted at the Facultad Latinoamericana de Ciencias Sociales in Mexico City (some web content is in Spanish only). The Committee website is freely accessible to all users. It provides info about the Committee (activities, researchers, projects, events) and offers some full-text working papers, abstracts and a Dictionary of Untranslatable Terms in Politics, which discusses political terms of difficult translation from and into English. A great amount of external links and a large list of bibliographical references on concept analysis and methodology (organized by topics and authors) are also available. Full-text versions of the provided records are usually downloadable in pdf format, while for other items only webpage saving is allowed. Users can browse and search the Committee webpages through a basic keyword option and also add comments to website material. There is the possibility of interacting with the Committee members by submitting working papers. Despite the lack of sophisticated navigational aids, this website has a clear structure and is easy to use.